Powered by new-generation 1.0-, 1.4- and 1.6-litre turbocharged petrol engines which are available in either manual or automatic, the Opel Astra impressed the COTY Jury with its incredible road holding and build quality This year’s Jury selected the Astra as overall winner with 2,370.25 points, and most impressively, 94.8% of its points were awarded in the 5 to 10 scoring range. 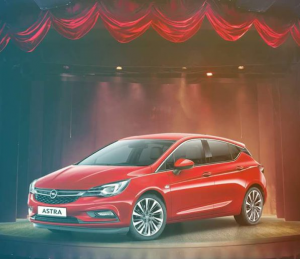 This clearly indicates that the Opel Astra is a brilliant all-rounderThe South African Guild of Motoring Journalists (SAGMJ) also recognises the Audi A4 (2,338.56 points) as first runner up, as well as the Volkswagen Passat (2,337.35 points) as second runner up in this year’s competition. Beaten by a narrow yet decisive margin, both the Audi A4 and Volkswagen Passat are winners in their own right. Oh what a marvellous and luxurious car. This trading company manifacture the quality wonderful and stylish car in the country. This trading company produce the best, quality and stylish car in the country. Buy it you will see.